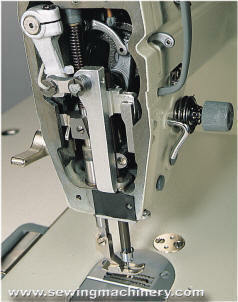 The GC0518 is the needle feed version of Highlead's popular industrial flatbed single needle lockstitch sewing machine. The needle bar and bottom feed mechanism move in time: to combine into a more stable motion which helps prevent uneven material feeding & ply shifting etc. and results in a better and more precise stitched seam. The combined feed motion allows this model to handle heavier materials when compared with a standard drop feed machine. 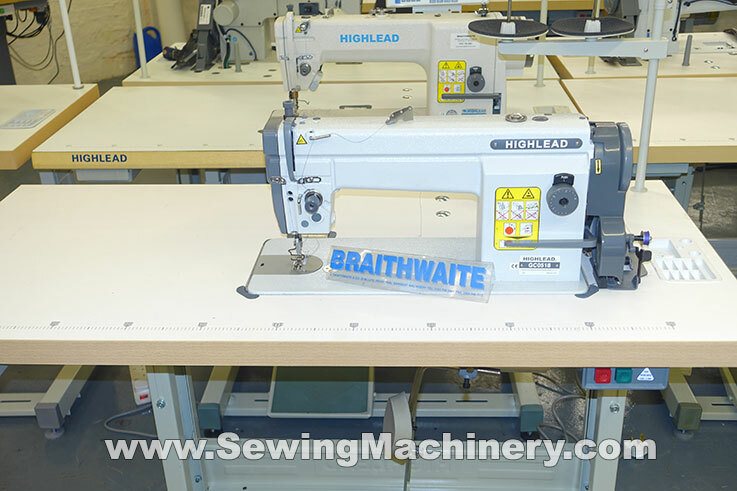 Stitch length variations are greatly reduced when sewing and changing between high & low speed or forward & reverse feeding. This is of particular use when you are hemming or sewing in long runs at high-speed (bed sheets, curtains, blinds, banners etc.). 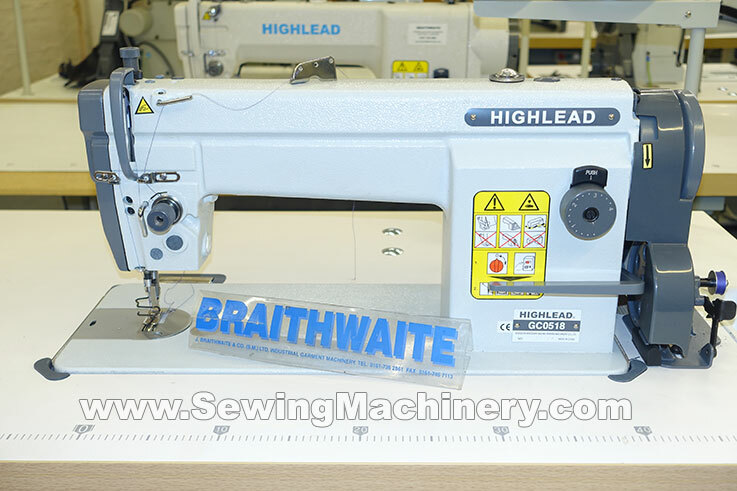 The Highlead GC0518 model can be set at up to 5000 stitch per minute and is fitted with an automatic pump driven lubrication system: feeding all important components, including the hook & base.